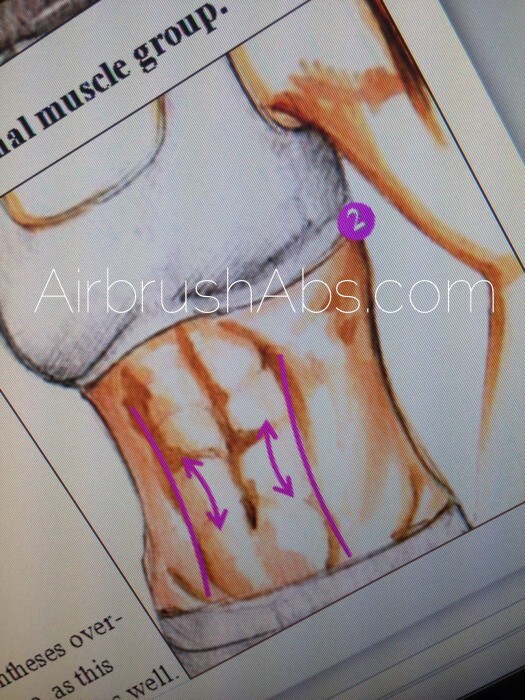 Here’s a sneak peek screenshot from Katie Quinn’s chapter on airbrushed abs, from her new contouring for spray tanning eBook! Would you like us to email you when it’s here? Visit AirbrushAbs.com! A special coupon code to SAVE will be included in the announcement! We are all very excited about this one – wait until you see the gorgeous illustrations inside! Holy defined ab muscles, Batman! !